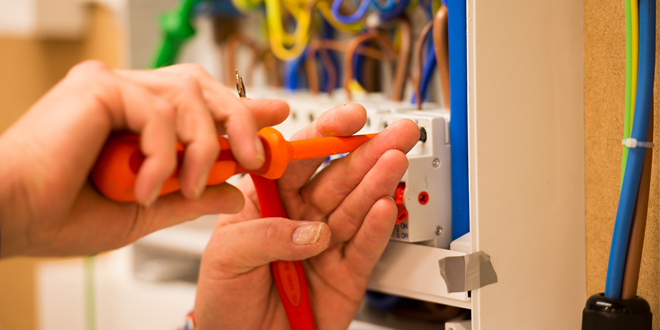 Are installers missing a trick if they don't have electrical qualifications? John Smith, National Service Manager UK at Vokèra by Riello, offers advice on keeping condensing boilers running reliably and efficiently during a winter freeze. Whilst it may be too early to predict whether the UK will suffer another ‘Beast from the East’ this winter, it is always better to be prepared for whatever the weather has in store. As any installer will know, when the temperature drops and central heating thermostats are ‘turned up’ the number of calls to fix ‘broken’ boilers goes up too. Whilst modern boilers are designed and tested to deliver optimum quality and reliability they still have moving parts that can be affected by general wear and tear, as well as parts that have a natural lifespan and need to be replaced. However, ensuring that an inconvenient and potentially costly breakdown doesn’t happen when the appliance is most needed could be avoided. Getting a gas boiler serviced on an annual basis by a Gas Safe registered engineer is key to ensuring a boiler won’t let the homeowner down when the cold weather arrives and please remember to follow the manufacturer’s instructions. For example, on sealed system boilers it is important to check that the system water pressure is correct as it may have dropped while the heating has been idle during the summer months. The expansion vessel also needs to be sufficiently charged and radiators may require bleeding, however remember to top up the system water pressure after. The heating system is tested to ensure it is operating correctly and should any problems be found these can be dealt with ensuring that the homeowner stays warm during the colder months. When servicing high efficiency condensing boilers, now widely installed in UK households, condensate traps should be checked and cleaned where necessary for any combustion debris as this can lead to blockages, which will eventually cause the appliance to malfunction. Prolonged periods of extremely cold weather can create another problem in this part of the boiler – frozen condensate. This happens when the condensate discharge pipe on the boiler freezes and becomes blocked with ice, eventually causing the boiler to shut down. This was an all too common reason for calls to boiler service companies during the severe winter in early 2018. So how can installers minimise the risk of freezing and keep their customers’ condensing boilers running whatever the weather? A correctly installed and commissioned condensing boiler will extract latent heat from the flue gases and produce condensate, which must then be removed from the boiler. Building Regulations advise the correct way of terminating condensate discharge pipes and currently allow these to be run either internally or externally or a combination of both. A boiler shutdown due to a blockage caused by frozen condensate usually occurs when the pipe has been installed externally for some of its length and is, therefore, exposed to very low temperatures. 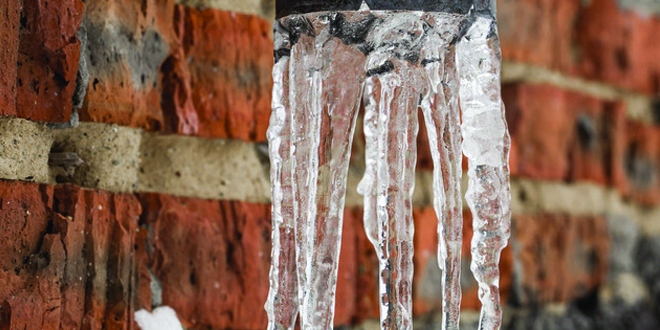 A guide for installers to prevent frozen condensate in discharge pipes has been published by the Heating & Hotwater Industry Council (HHIC), stresses the importance of adhering to relevant standards and the appliance manufacturer’s instructions. Vokèra fully supports HHIC in its efforts to promote best practice among heating installers and by following ‘Golden Rules’ to avoid a frozen condensate. Where possible, an internal condensate disposal method should always be the preferred option to keep pipework within the thermal envelope of the building. However, it should be noted that installing in unheated ‘indoor’ locations, such as a loft or garage, should be considered as ‘external’. External runs should be as short as possible, preferably no longer than 3 metres. Also, any external boiler condensate pipe must be a minimum internal diameter (ID) of 30mm, and insulated using suitable waterproof and weatherproof insulation. Any internal condensate pipe should be a minimum of 19mm ID and upsized to 30mm minimum ID before passing through the building structure to the outside. Providing adequate fall is a critical factor as this allows the condensate to drain away correctly from the boiler under gravity and so prevents it from collecting in the pipe and freezing in winter. Vokèra recommends a minimum 3 degree fall, with bends and fittings kept to a minimum. It is also worth mentioning that this minimum drop must be maintained from the boiler right through to the discharge point. Where condensate pipework terminates externally to an outside gulley or drain, the pipe must terminate above the water line, but below the grate by at least 25mm, with the end cut at a 45 degree angle. A drain-guard should also be fitted: these steps help to minimise the risk of blockage or freezing through wind chill. Details of the condensate drainage installation should be recorded as part of the Benchmark Commissioning Checklist, a nationally recognised scheme managed by HHIC. Where an external condensate discharge pipe is installed, the customer should be made aware of the risks and consequences of its freezing and can be offered the option to fit trace heating (or other measures approved by the boiler manufacturer or service company) but must follow installation instructions of the trace heating manufacturer. According to a report by the HHIC, during the peak of the extreme weather experienced in early 2018, the UK’s gas emergency number control room took over 40,000 calls from members of the public. It is interesting to note that the vast majority of these calls were not boiler fail emergencies but people seeking help because their gas boiler had stopped working due to the condensate pipe becoming frozen. We have to accept that there are circumstances in which there is no other option but to install condensate discharge pipework externally and as a result that pipework will be at risk of freezing in extreme weather conditions, particularly when there is a high wind chill factor. It is therefore vital for installers to follow manufacturer’s instructions and current regulations/standards to minimise this risk. For its part as a leading boiler manufacturer, Vokèra will continue to work with industry bodies like HHIC to emphasise the importance of correct condensate discharge installation and to improve compliance through product innovation, training, and good practice guides. For more information on the range as well as news and updates, visit www.vokera.co.uk or follow Vokèra on: Facebook | Twitter | LinkedIn. Is selling direct to the consumer the future for the heating and hot water marketplace? Part G. What does it involve? New Bristan Rapid 4-in-1 tap delivers hot, cold, boiling and filtered water from a single unit. ©2019 Installer Magazine. All rights reserved.